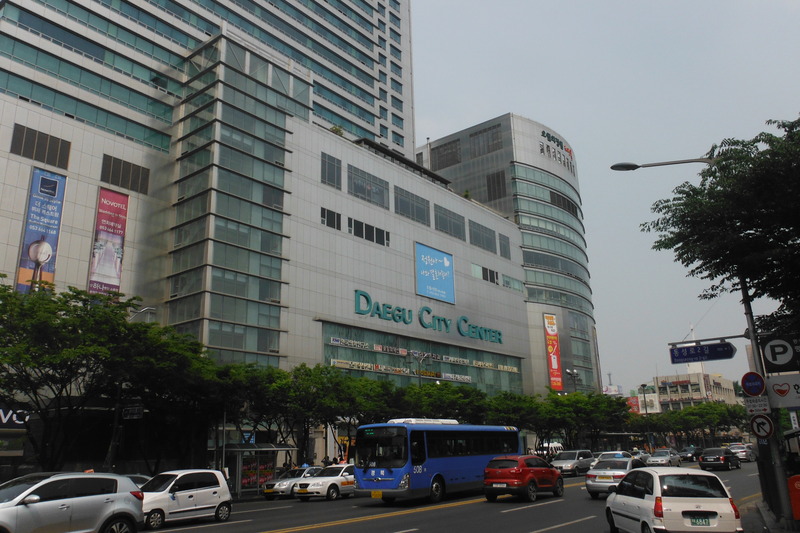 One of the biggest allures of the teaching in Korea is the opportunity to save money, whether it be for your own personal savings account or for paying off student loans. I am extremely fortunate to emerge from the extravagant nature of the American university experience with minimal student debt, but that does not mean by any stretch of the imagination that I am careless with my money. In South Korea, not only is the general cost of living pretty low compared to living in the United States, but establishments are also quite liberal with dishing out freebies at every turn. 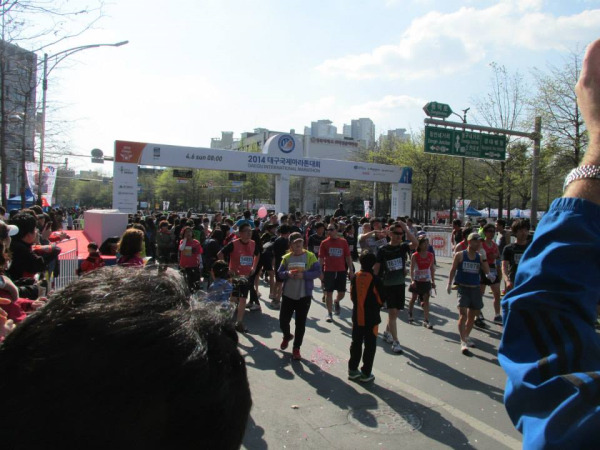 Allow me to fill you in some of my own experiences with the magical Korean concept of “service,” and by doing this I hope to teach you about the ways you can eat and drink in Korea for cheap. 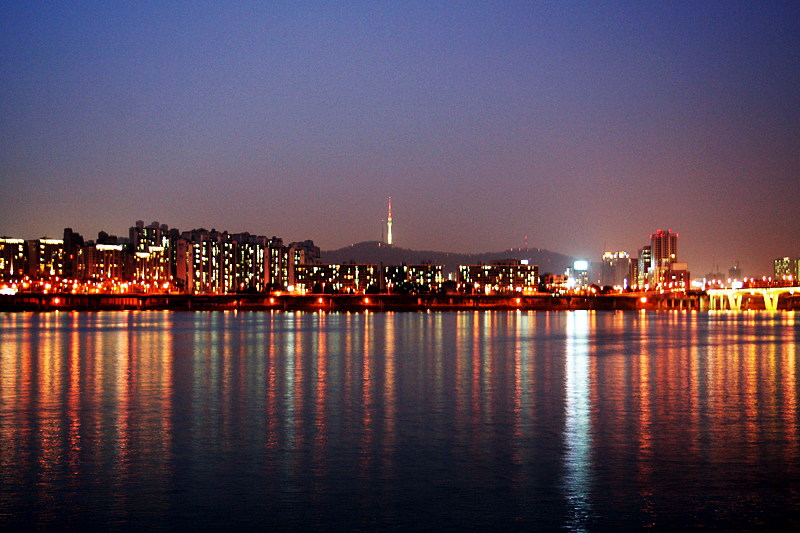 The Han River is one famous strip in Seoul, popular for everyone of all ages, with so much to do. For the most part, it is great for bonding time with others with an amazing view and a breeze that will keep you cool during hot summer days. 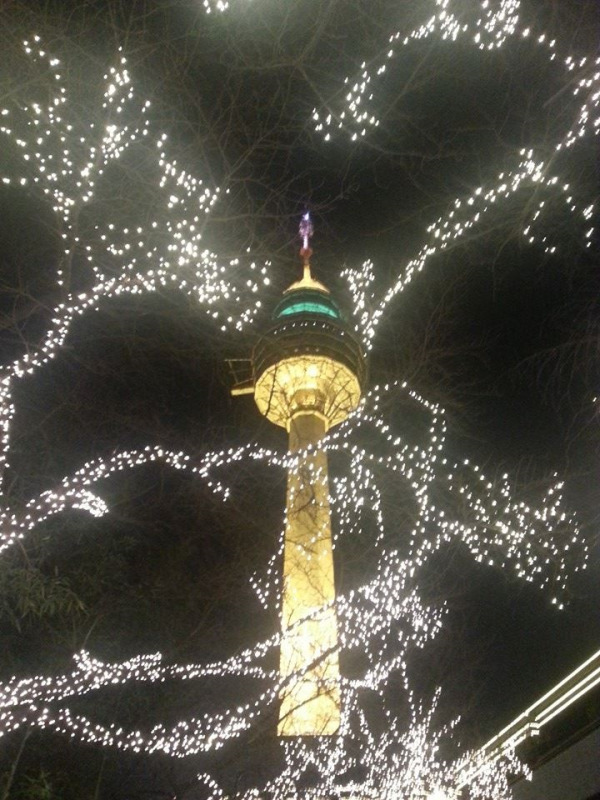 Before I came to Korea, I was unsure of what to expect as for the night life. Having lived in Miami six months prior to moving to Korea, I wasn’t expecting much. Although I prefer quiet nights at home, sometimes, I just want to let loose and party, party, party. And as you know, partying can get a little expensive especially if you like to get fancy with a new outfit and pricey cocktails. Also, considering that the cost of living is much lower in Korea, it’s easy to get carried away with the lump sum of disposable income most English teachers have readily available. I can tell you now that’s it’s important to have a budget to manage to financial goals, whatever they may be. Most of my teacher friends in Korea are busy with student loans and as you may know, it’s possible to pay off student loans while teaching in Korea. I’m well on my way. Having and sticking to a budget in key. However, with all that being said, we still know that all work and no play makes Jack a dull boy. So, yes having a social life in also important and in the right balance, there’s lots of room for some fun!! I was pleased to learn that there are American bars in Korea. In Pohang, where I live, there are three that are quite popular among foreign teachers, Tilt Bar and Grill, Whistler’s and White Boards and Mindy’s. Tilt Bar and Grill aka Tilt is quite popular among my coworkers and I. Not only is it close to the Bukbu Beach, it’s also been the venue for their annual Halloween Party, Thanksgiving Dinner, Christmas Dinner, NYE party and of course many other events. Also, Wednesday is “Wing Night”, Thursday is “Taco or Burrito Night” and Friday and Saturday nights are just for lounging with your friends or dropping it low on the dance floor. Thursday’s Burrito/Taco nights have become a regular thing for me as they have vegetarian options and oh my, it’s really good! Do you enjoy a good cup of coffee and art? Urban Soul Café and Gallery is the place to visit. While teaching English in Korea, a friend of mine that I met here took me to this spot. Since then, I have been regularly visiting the café for the past 3 months now. 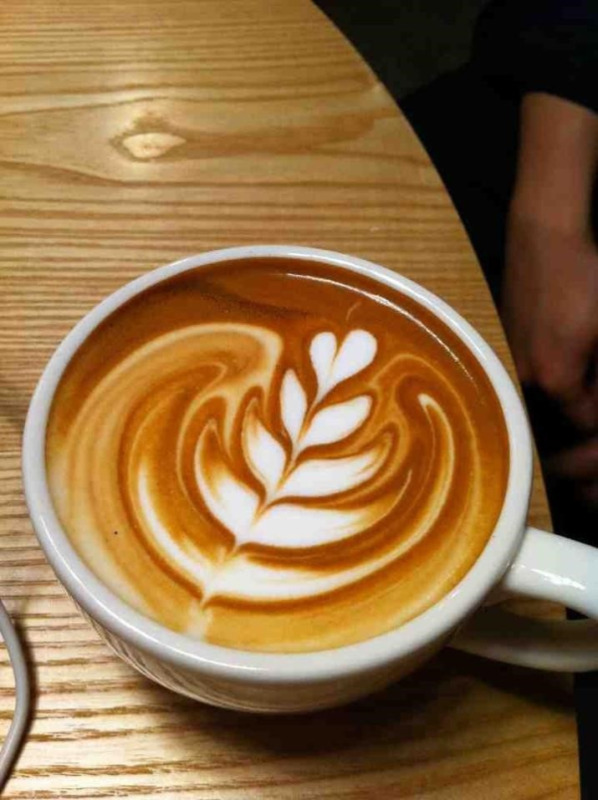 My favorite coffee drink, a latte, is always perfectly made every time I visit. The espresso bean is roasted just the right amount and brewed into a steamed cup of milk with a smooth milky froth art on top. It’s great that my latte always tastes great. It’s also great that the art always changes. Want to drink in Korea? 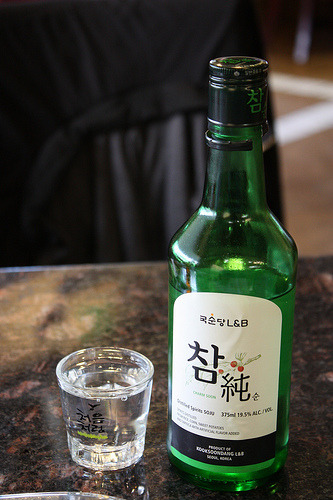 Get to know Soju. Watch out! Soju packs a punch!